In April 1964 Ron received Uncle Sam’s dreaded “Greeting Letter” ordering him to report to Buffalo’s downtown induction station on May 1, 1964, for induction into the armed forces of the United States. AKA: U. S. Army. Ron, along with numerous other draftees, spent a grueling all-day session there taking physical and eye examinations, a myriad of intelligence tests and filling out God only knows how many forms. At dusk, they took a bus and then a train to Fort Dix, New Jersey. However, along the way Ron recalls part of that train was inadvertently uncoupled, delaying their arrival by six boring hours. With the problem corrected, Ron and his new pals arrived at Fort Dix at daybreak the next morning and man were those drill instructors all over those green recruits. The verbal harassment seemed unending as those boys could not move fast enough. Welcome to Uncle Sam’s U. S. Army. 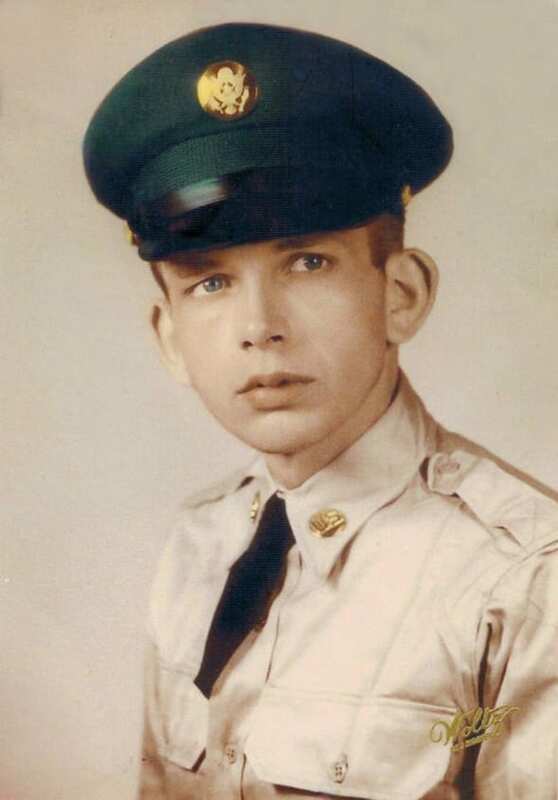 Zero Knowledge Ron took 12 weeks of basic training at Fort Dix and was then sent to Fort Knox, Kentucky, for eight weeks of advanced individual training. Next, Ron was assigned to Fort Leonard Wood, Missouri, where he received his military occupation specialty (MOS). Out of the clear blue, Ron instantly became a carpenter without possessing any training and despite having zero knowledge of carpentry or having any interest whatsoever. That’s the Army for you, folks. After carpentry training, Ron took a short leave of absence to visit his family in late 1964 and he was then sent to Fort Hamilton, New York. After a few days, Ron and approximately 50 fellow soldiers travelled to the Brooklyn docks and boarded the USS Darby, a World War II-era troop ship. Ron recalls that there were a number of civilians aboard but they were separated from the troops — hence, mingling couldn’t happen. Eight days later, they arrived in Germany and were immediately bused to a U. S. Army base at Orleans, France, joining Bravo Company with the 553rd Engineering Battalion. 1955 Pontiac Chieftain Ron served the rest of his Army service as a carpenter at Orleans building bridges, tons of odd jobs and he spent time at a non-commissioned officer club where, after hours, he played his bass guitar in a rock and roll band. But the good news for Ron and a few pals was acquiring a 1955 Pontiac Chieftain from a soldier whose tour of duty had ended. Ron obtained an international driver’s license and they used that ’55 Pontiac during breaks to tour Switzerland, Spain and Paris. Ron said, “This was the highlight of my Army service.” Ron also acquired an old motorcycle from another departing soldier. One evening at a French pub, Ron heard the Beatles song, “Michelle” and he swore that if he ever had a daughter that would be her name. Ron’s worst duty was escorting a fellow soldier, a handcuffed first lieutenant who he knew and was guilty of drug possession, to a military stockade. Ron, armed with a .45 pistol, was told that if his prisoner escaped that he would serve that lieutenant’s sentence. Needless to say, Ron was not about to fall prey to that rogue officer.